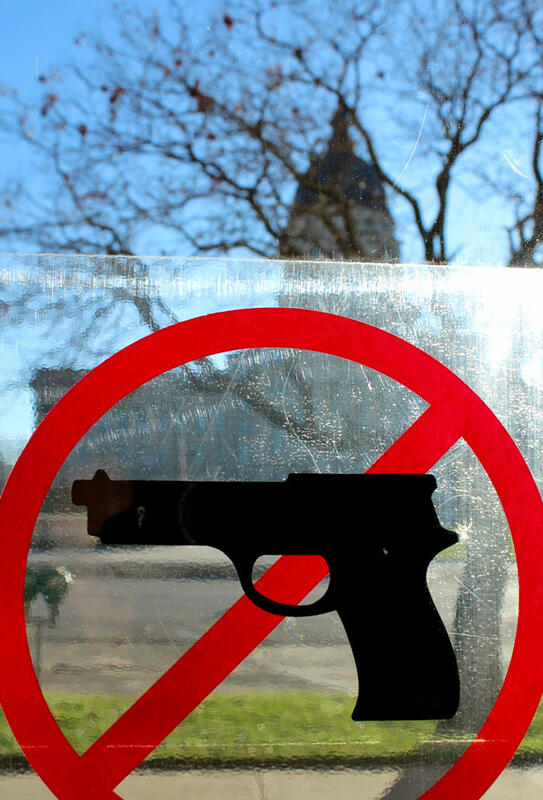 The Regents Governance Committee on Wednesday approved a draft policy for implementing Kansas law allowing the concealed carry of handguns on university campuses. The chairman of the Kansas Board of Regents says he doesn’t anticipate substantial changes in state gun laws ahead of a deadline for allowing the concealed carry of handguns on university campuses. Shane Bangerter, a Dodge City attorney appointed to the board in 2013 by Gov. Sam Brownback, said the Kansas law allowing concealed carry in public places passed by large majorities in 2013. He doesn’t expect lawmakers to revisit the issue in the upcoming session despite growing calls for them to do so in the wake of a recent spate of mass shootings in Colorado, Oregon and California. The Kansas House passed the bill – the Personal and Family Protection Act – 104-16. It was approved by the Senate 32-7. Legislators who voted for the bill said they believed that allowing law-abiding citizens to carry handguns on university campuses would make them safer. Bangerter spoke to reporters Wednesday after the Regents Governance Committee approved a draft policy for implementing the law at the six state universities it governs. 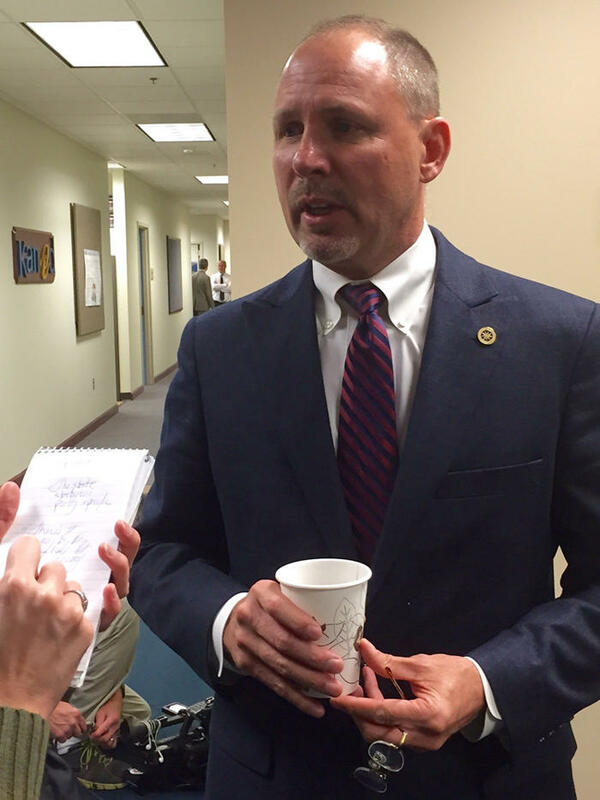 Shane Bangerter, chairman of the Kansas Board of Regents, says he doesn't anticipate substantial changes in state gun laws ahead of a deadline for allowing the concealed carry of handguns on university campuses. The policy, which the full board is expected to consider at its January meeting, leaves it up to the universities to draft their own policies, which the regents then must approve. The board will begin reviewing those policies in June so they can be finalized and disseminated to students and faculty approximately a year ahead of the July 2017 implementation deadline. Recently, students and faculty members at the University of Kansas and Kansas State University have voiced concerns about lifting current policies that ban weapons on their campuses. A group of distinguished professors at KU issued a similar statement, and Chancellor Bernadette Gray-Little announced her opposition in a message to faculty and staff. “I want to be clear that I am not in favor of allowing concealed carry on university campuses,” Gray-Little wrote, noting that she too thought it “unlikely” that lawmakers will change the law. The regents’ draft policy continues a current ban on the open carry of firearms and requires that concealed handguns be carried with their safeties engaged. And it requires residents of scholarship halls and dormitories who possess handguns to conceal them in secure storage devices when in their rooms. The draft says allowing students, faculty and visitors to carry concealed handguns doesn’t create an obligation that they intervene in dangerous situations to defend others. Kansas is one of eight states that have passed laws allowing concealed carry on university campuses, e it up to the universities. Republican Kansas Rep. Linda Gallagher from Lenexa provides an insider perspective on the Kansas Legislature as we discuss KDOT funding, education, and guns. In 18 months, almost anyone will be able to carry a concealed gun on a Kansas public university campus but the Board of Regents is already working on new safety procedures. Later this month, the Regents Governance Committee will meet in Wichita to discuss a draft policy on weapons possession that was just released. Regents spokesperson Breeze Richardson says the Board hopes to vote on the new policy at its December meeting. Visitors who have a concealed weapons permit will be allowed to bring guns into the Kansas Statehouse starting in July. A state law grants the Legislative Coordinating Council the authority to bar concealed firearms in the Capitol. But at a meeting Thursday, those legislators chose not to discuss any regulations. That means concealed guns will be allowed in the Capitol next month. Senate President Susan Wagle, a Wichita Republican, says this puts the Statehouse on a par with many other facilities. Just hours before adjournment, the Missouri General Assembly has approved a bill that lowers the state’s legal age for carrying concealed weapons to 19 and allows the open carrying of firearms by any person with a valid concealed-carry permit. The bill also allows schools to designate teachers or administrators as "school protection officers" who can carry a concealed firearm or self-defense spray device. But school districts authorizing the armed officers are required to hold a public hearing on the matter. Tell KCUR: Have You Applied For A Concealed Carry Permit? Record numbers of people have applied for concealed carry handgun permits in Kansas. More than 24,000 applied in 2013, exceeding the previous year’s applications by 50 percent. We want to know if you were part of that number. Tell KCUR: Did you apply for a permit to carry a concealed gun in 2013? Why or Why not? Licensed gun owners in Kansas will now be allowed to bring their concealed weapons into Johnson County public libraries. The expansion of the concealed carry law passed in July by a wide margin in both the Senate and the House. But, the library system was granted a six-month extension to explore increased security, which expired on Jan. 1. Republican state representative Stephanie Clayton opposed the law. And Clayton says due to the nature of the bill, library staff members cannot ask if a patron is carrying a weapon.